For a long time, I didn’t think that issues of race had anything to do with me – not at home, not at school and certainly not at church. Still, I stood on the carpeted steps of the sanctuary at the Baptist church I called home and belted out songs about how Jesus loves the little children, “red and yellow, black and white.” But as I sang and looked out at a sea of mostly white faces in my faith community, contrary to the song’s message, I knew I wasn’t supposed to actually see color in the world around me. Instead, loving God and loving others meant believing in a colorblind rhetoric; it meant staking claim to a belief that if I couldn’t see a person’s skin color, I couldn’t therefore judge a person’s skin color – and if I couldn’t judge a person by what they looked like on the outside, then I could somehow magically see straight to inside of their heart. After all, the inside counted far more than the outside, I thought. For me, realizing this about Jesus made all the difference when it came to understanding the intersection of faith and justice – and if you want to engage in the conversation, here are eight concrete actions people of faith can take to address racial injustice. 1. Tune your ears to hear. Engaging in issues of racial justice oftentimes starts at the beginning, with listening. In a recent article for Ready magazine titled, “Listen, Learn and Listen Some More,” I write about how, as a white person, I will never know what it means to live in black or brown skin – because this part of my journey is a learned experience, I must start by listening to the stories of my brothers and sisters of color. What have I not heard because I haven’t taken the time to listen in the first place? I’ll be the first to admit that I am not an expert when it comes to issues of racial justice, but a fellow sojourner committed to the process of learning and growing every step of the way. This starts by understanding the history of injustice in our country and in the church, just as it starts with grasping what it means to be white in America today. (Need a good place to begin? Pick up a copy of Just Mercy by Bryan Stevenson, The Color of Compromise by Jemar Tisby, and White Awake by Daniel Hill, for starters). 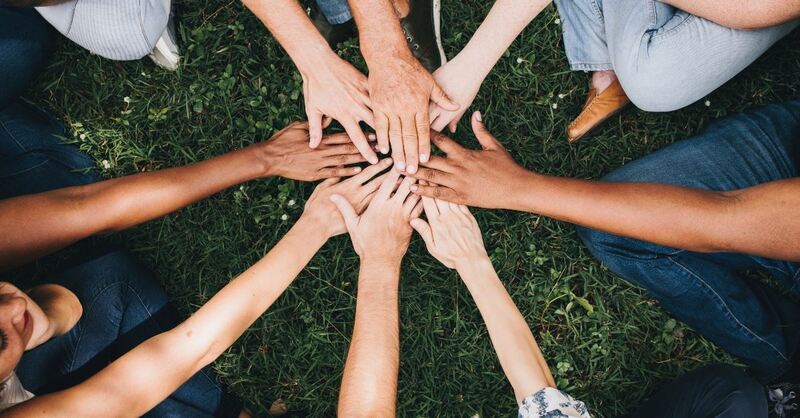 As Jemar Tisby wrote in a recent article for Religion News, “the ARC (Awareness, Relationships, Commitment) of racial justice helps distinguish different types of anti-racist actions.” As Tisby explains, awareness can include watching a documentary about the racial history of our country, diversifying your social media feed to include the voices of people of color, and accessing “websites and podcasts created by racial and ethnic minorities.” So, tell me: what’s one thing you can do to raise your awareness levels today? 4. Pray for new eyes to see. Have you ever heard the old adage, “seeing is believing”? It’s no different when it comes to people of faith choosing to take steps toward addressing racial injustices, because it all starts with noticing. Oftentimes, when I speak to faith communities about issues of justice, race and privilege, someone will say, “But I live in an all-white community. There are literally no people of color in my world.” More often than not, that person does not actually live in mono-ethnic environments, but hasn’t opened their eyes to seeing every human around them. So, who are you not seeing? Here’s the deal: it’s one thing to let new narratives change the way we think and feel, and it’s an entirely different thing to let those same narratives change the way we interact with the world around us. If we, as a people of faith, want to actually address issues of racial injustice, then we have to get proximate to the pain, as Bryan Stevenson says. Also, if we identify as white, we have to really, truly enter into relationship with our brothers and sisters of color – not so they can answer our budding questions, but so we might be changed by power of relationship. Sometimes I wonder if lament is the hardest action step of all, for it means reckoning with how our actions have directly and indirectly affected those who have been marginalized and oppressed. However, this holy act is not supposed to be done in solitude, but rather in active participation alongside our brothers and sisters in Christ. After all, as I write in my book, every single one of us has “to learn how to hold the oppressor and honor the oppressed, for love can redeem everything, including both the oppressor and the oppressed.” Also, if you’re interested in understanding more about lament, move Prophetic Lament by Soong-Chan Rah to the top of your list. 7. Commit to the journey. I am always reminded of the call to commitment in January and February, when images of Martin Luther King, Jr. and other black leaders and figureheads seem to float around the Internet more than the other ten months of the year. But committing to fight racial injustice means putting your foot in the ring 365 days a year, not just when holidays and dedicated months of remembrance remind us to share a social media image. Instead, we commit to the long haul – meaning that we also move beyond our individual selves and shout words of wholeness for everyone, as we fight for change at the systemic and institutional levels. I’ve said it before and I’ll say it again: life is a journey, not a destination. And this phrase most certainly applies to our work as people of faith when it comes to addressing racial injustice. So, keep listening, keep listening, and keep growing in your awareness. Keep praying those dangerous prayers, keep getting proximate to the pain, and keep entering into the practice of lament. And perhaps, when that happens, we will find that we were committed to the journey all along. Cara Meredith is a writer and speaker from the San Francisco Bay Area. 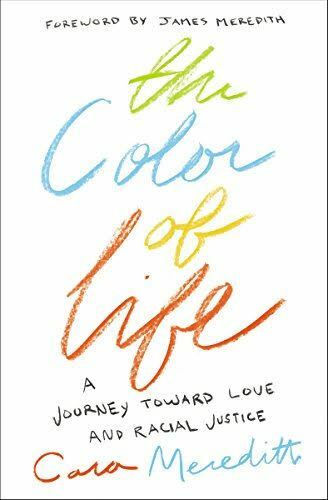 Her first book, The Color of Life: A Journey Toward Love and Racial Justice, released in February. You can connect with her on her website, Facebook and Instagram.